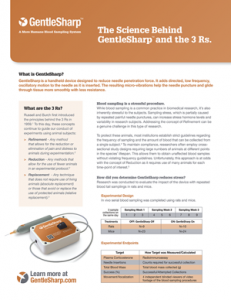 GentleSharp adds directed, low-frequency, backward and forward motion to the needle as it is inserted. The resulting micro-vibrations help the needle puncture and glide through tissue more smoothly with less resistance. Since less force is applied to the tissue during needle puncture, the subject experiences less stress from the blood sampling procedure. 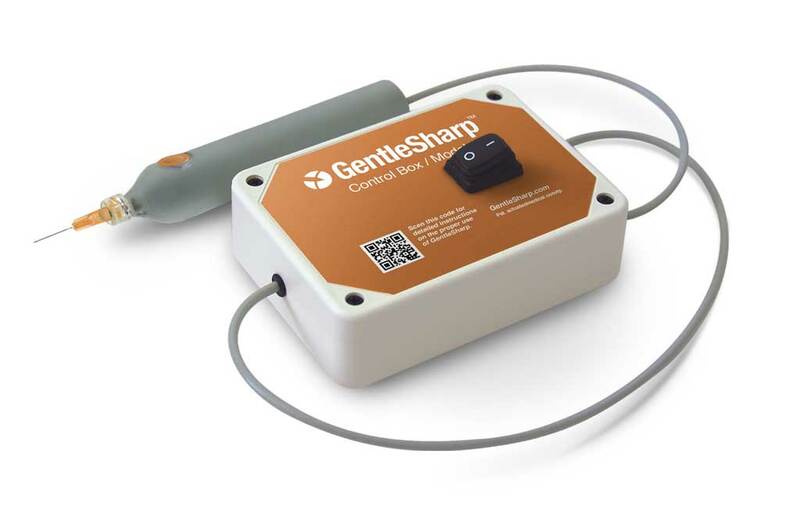 A version of GentleSharp that collects blood (e.g., into a syringe or vacuum tube) and enables injections to be performed is currently under development. Improved collection success for novice collectors. Lower and less variability of stress hormone level. 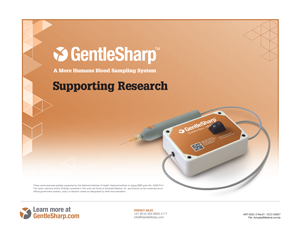 Download the GentleSharp Product Sheet (PDF). 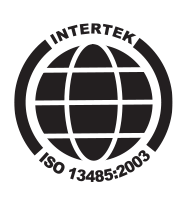 Download the GentleSharp Operator’s Manual (PDF). 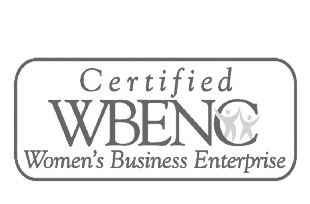 Funded by NIH/NIA Phase II SBIR grant. These two videos will give you a good idea of how the system works. 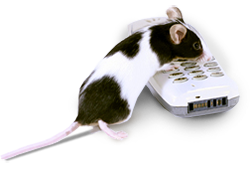 Videos of actual usage in pre-clinical studies are available upon request. 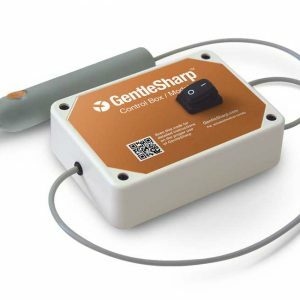 We quickly saw that GentleSharp is a great tool for teaching and improving new technician’s skills in bleeding procedures. Very smooth. The 25G needle went in on the first poke, saved time and reduced animal handling compared to the standard needle. It was awesome! The vibration helped me get more blood than with a straight stick. I was extremely pleased with the ease and the efficacy of the equipment. We were able to get adequate size samples with an apparent decrease in stress to the animals. Review scientific studies supporting the benefits of GentleSharp. 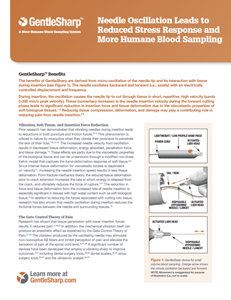 Learn about the science behind how GentleSharp’s backward and forward motion to the needle reduces stress response. These works are/were partially supported by the National Institutes of Health: National Institute on Aging SBIR grant No. AG037214. 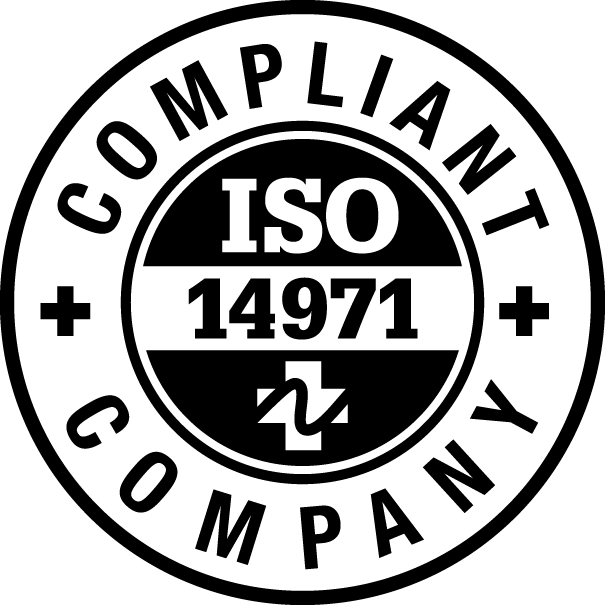 The views, opinions and/or findings contained in this work are those of Actuated Medical, Inc. and should not be construed as an official government position, policy or decision unless so designated by other documentation.